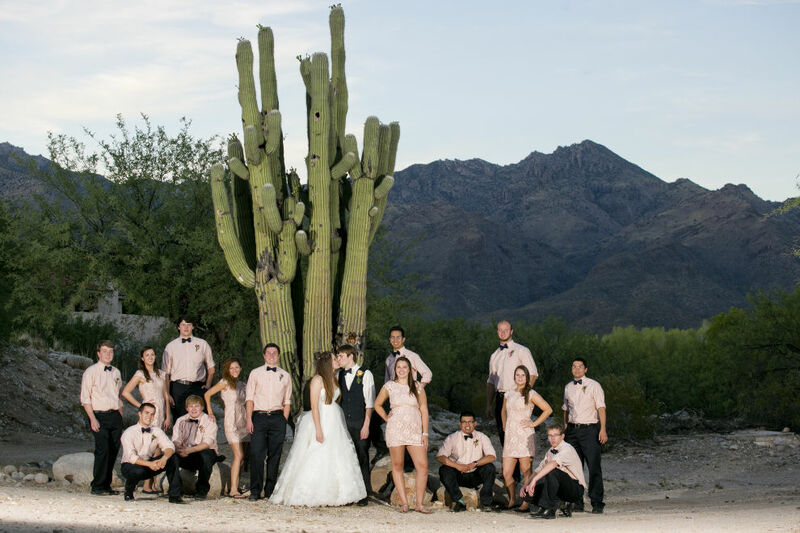 Corona Ranch is a quaint little venue tucked away near the East Catalinas and Sabino Canyon area. 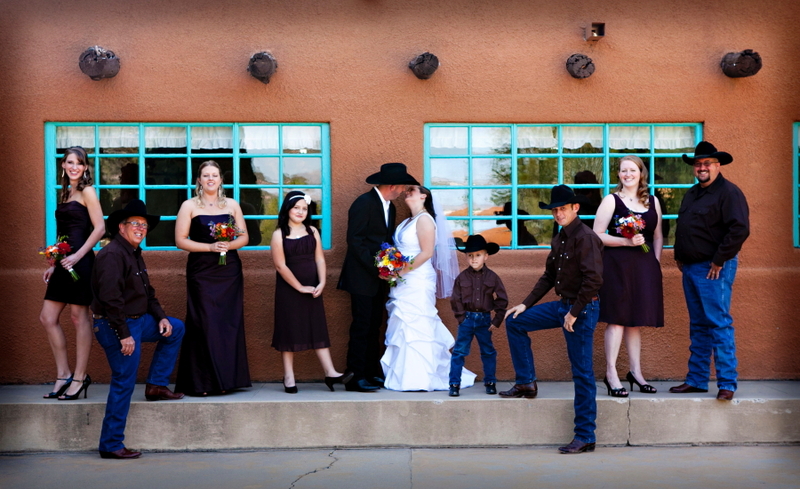 It is rustic in style with a little western flare. 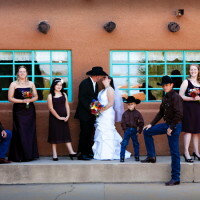 With a little imagination and creative juices this may be your venue to mold and shape into the wedding of your dreams. 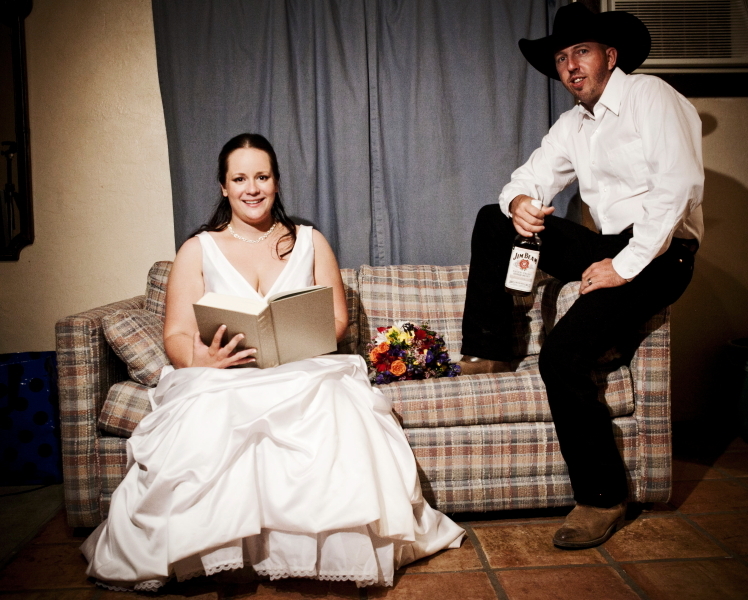 Corona Ranch allows you to bring in your own caterer and alcohol which is a huge bonus and cost saver. 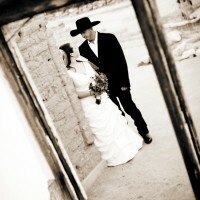 Corona Ranch has adobe ruins that was a homestead house on the property. 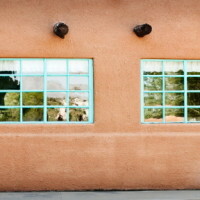 The worn and crumbled adobe gives an old world feel. 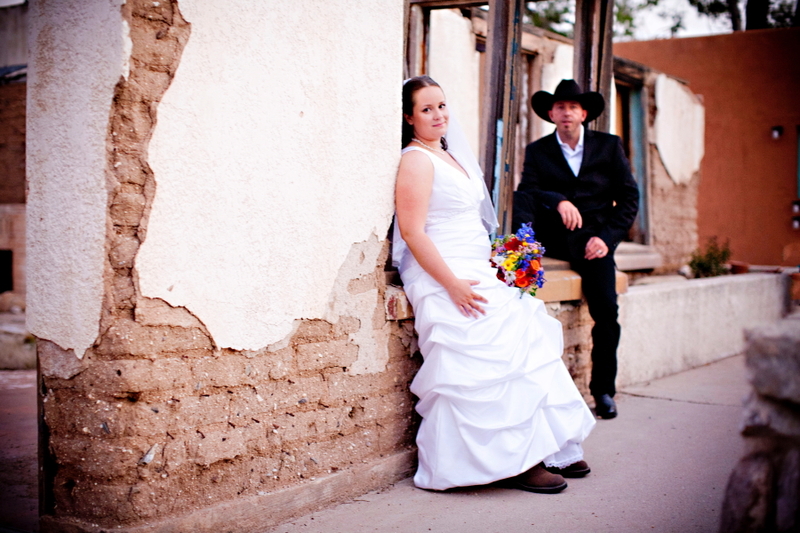 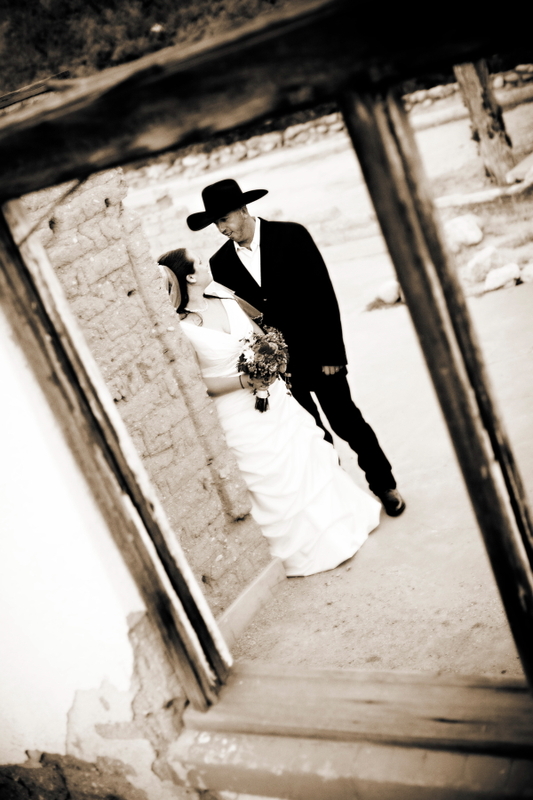 We love the mix of a new bride and groom against the contrast of the old west. 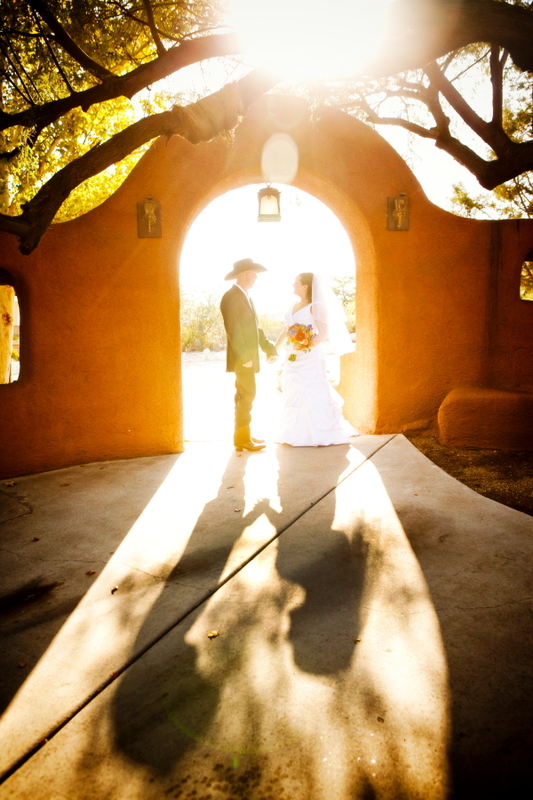 There is beautiful views of the mountains toward the back of the property and in front of your guests during the ceremony. 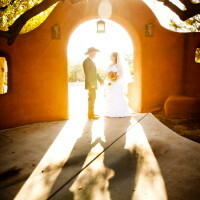 There is a beautiful water fountain in the front of the lawn that is picturesque. 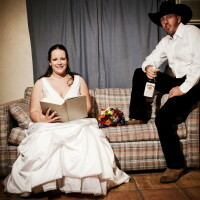 If you want a venue a little off the beaten path with options galore then you should check them out. 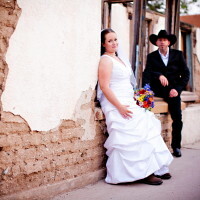 Something Blue has photographed here a few times and found the site to be inviting and allowed us to think outside the box.